Hello there, let’s just say lazing around in the house might have inspired me to make this palm sized house key chain. The pattern’s a no big fuss and might only take you a day to complete this entire project. Yarn : Medium weight off-white, brown, green colored yarn. Ultimately it all depends on how you want to decorate the house. If there’s a semi colon in between rounds it means those rounds are sc around without and increase or decrease. Join all the walls of the house using sc so that you have a nice edge for every wall. For the effect of tiles, I’ve used crocodile stitch. Just follow this video, including the stitch count and you should be able to achieve it. Instead of 5 dc at each side of the scallop I’ve used only four since it’s a tiny little project. 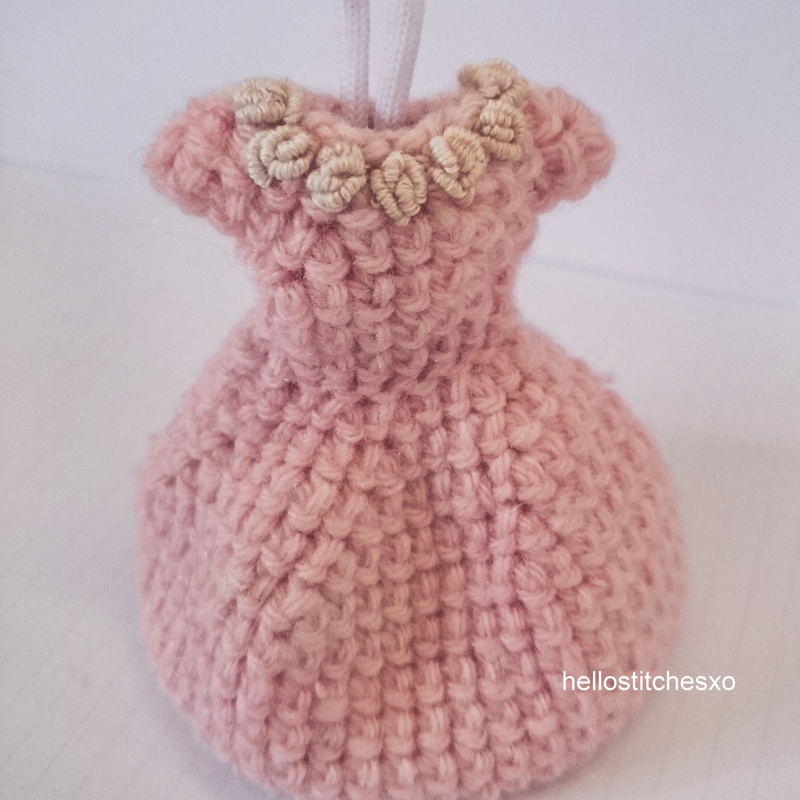 I wanted to make a pink dress for the girl who loves wearing pink and makes cute stuff. And, I can’t believe how cute and princess-like it turned out to be. I honestly can’t wait to give it to you dear little cousin. Round 1: Chain 12, sl st to the beginning chain. This forms the arm hole and the sleeves. There’s your easy simple pretty little crochet dress. Embellish them as you please. I loved making these white colored bullion roses embroidery along the neck line. 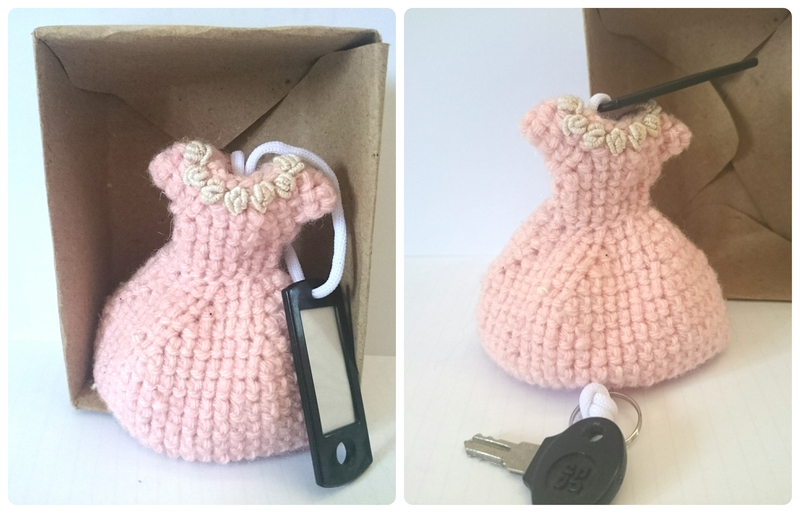 I’ve transformed it into a key chain in a way that the key remains hidden within the skirt.